And my goodness, I am grateful to God everyday that I can work from home and be with my babies. 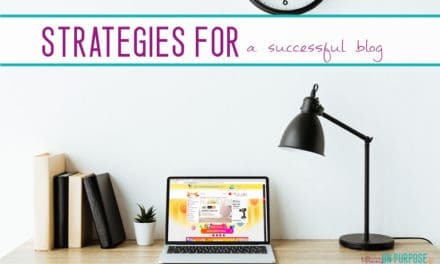 And I love to share how other stay at home moms can start a blog (or take up proofreading, or try selling on Amazon) to earn an income from home – so they can remain stay at home moms. 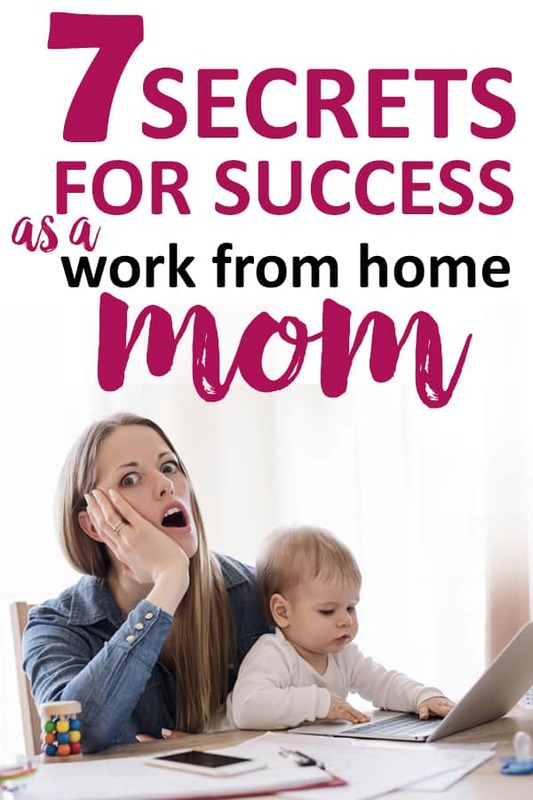 Working from home as a mom is the DEFINITION of my ideal life, and I believe any one who wants to work from home so they can be with their kids should be allowed to do that. This is a message that’s VERY important to me. I knew, from the moment we started talking about having a baby, that I didn’t want to leave the baby and go to work. But I also knew that I’d have to contribute somehow, if we wanted to… you know, pay bills and stuff. And for me, blogging was the answer. 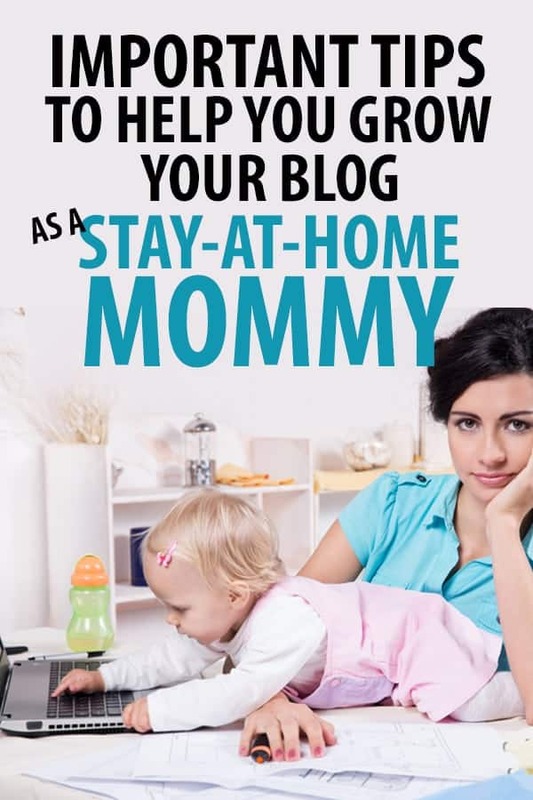 (Stay at home mom blogs were already popular, so I could SEE other moms having success with it.) 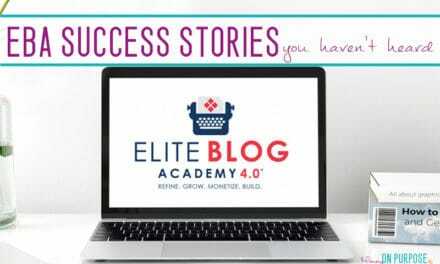 I dove head first into blogging, and I started making $3000/month blogging within 8 months of launching! 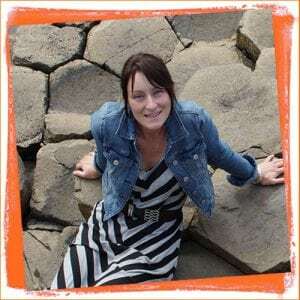 Running my blog – continuing to grow it – while being at home and raising kids has been an adventure. There’ve been many days when I feel like it might actually be EASIER to work away from home (I’ve even said to my husband – “Nobody poops on YOU when you’re trying to work!”)… but easier isn’t what I want. What I want is to stay here, and make this blogging as a stay at home mom thing work. So here are the secrets I’ve learned that make working from home with kids possible. Those pictures should make us question everything we’ve ever seen online about working from home. 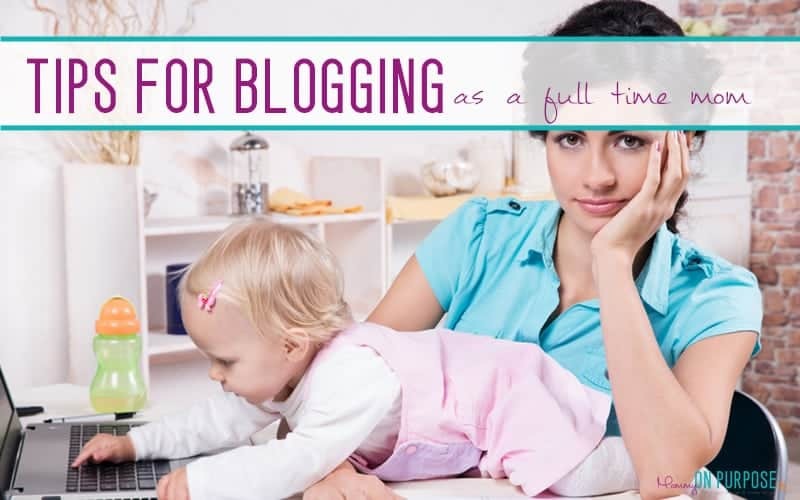 Working from home, as a stay at home mom isn’t glamorous or easy. But that’s ok because, as a mom, it’s not about being able to drop everything and jump on a plane to Tahiti. It’s about being able to drop everything because your kid is sick, and you’re the mom and you want to be there for him. No boss is ever gonna tell me I need to be at some meeting when what I need to be is cuddling my fever-y baby. If you accept – right from the start – that stay-at-home / work-from-home mom life will probably look more like messy hair, dirty floors and compromises than days spent shopping and drinking coffee with other moms while your kids play… (and remember WHY you’re choosing this life), it will be a heck of a lot easier. In a perfect world my baby wouldn’t watch any TV, I’d cook him lunch from scratch (thus saving money AND making sure it’s super healthy), and I’d sit down on the couch with my husband for a few hours every evening. I wouldn’t often have to re-schedule a meeting or work Sunday afternoon. And I would never, ever, drag myself out of bed at 2 am to edit an email because it had to go out the next day. I would go out for a girls night now and then… or maybe join a mommy n’me sort of group? I guess you could say my world is far from perfect! But, I’d still choose this world over the 1/2 hour commute and 8 hours separated from my kid every day. I DO (often) spend blurry hours working between midnight and 2. I am tired. But I would be tired if I worked out of home too – because my babe thinks midnight is bedtime, but morning is 9:30. Since I’m at home I can usually stay in bed till 9:30. Yay! Sleep is probably the thing I have to compromise on the most… there just aren’t that many places to carve out quiet hours. Sleep while the baby sleeps? I do not. I suppose this is part of accepting compromises – but guilt gets it’s own special point. I often feel overwhelmed with mommy guilt when I have to pull out my phone and work on the couch wile my kiddos watch TV. I know they’d rather that I was playing with them… (and that’s what I’d rather be doing sometimes too)! But here’s the thing. I don’t have a SINGLE game on my phone. I am almost NEVER signed into personal Facebook on my phone. I don’t have insagram or snapchat or anything else like that. My friends will tell you that I am THE WORST at texting back. I can either be here, with them, working… or there, away from them working. It helps me to put it into perspective by realizing that if I was working away I wouldn’t get to cuddle and watch cartoons every morning, or to sit on the floor and play for half an hour. Just because I am at home does not mean that I don’t HAVE to work. When you’re working for yourself, on extremely limited hours, you can not afford to waste time. It’s tempting to scroll Facebook for just ten minutes – NO! This goes for anything that isn’t directly adding to your bottom line. As a blogger, what’s adding to your bottom line? Content creation + product, images for promotion on social media, working on your email list, maybe taking a course when you need to learn to do something better. What’s not adding to your bottom line? Reading other blogs, chatting in blogging groups or on Facebook, worrying about perfection. With limited time, you MUST understand that action is always going to take you farther than perfection. In fact, if I strive for perfection, nothing EVER gets done. Pinterest image good enough? Pin it. It’d be nice to A/B test 6 pins? Sure it would… but it’s not gonna happen, so accept that. One or two pin images out there is ALWAYS better than 6 imaginary or wishful images. Write the posts, post the posts, and let your friends text you about your mistakes. Just… DO make sure you edit eventually. If no one texts me or emails me with my ridiculous mistakes, I am sure to read my posts over from my phone when I have the chance – in the dr’s waiting room, in the drive through line up, in bed before I fall asleep. 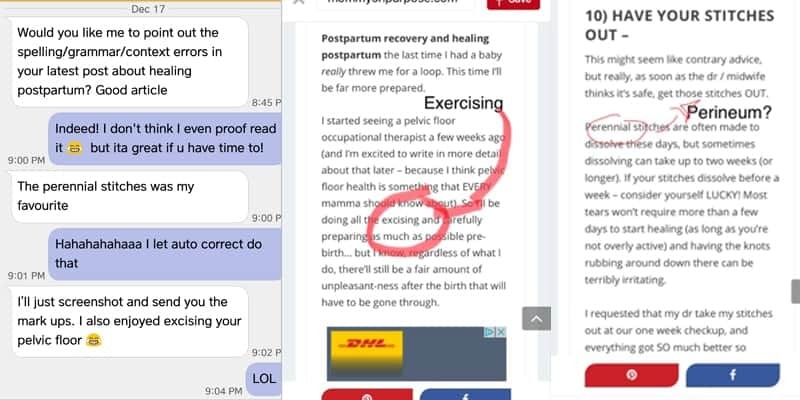 I can’t edit there, but I screenshot mistakes for myself and edit the next time I get to the computer. The list of should dos or could dos for me as a blogger is CRUSHING. But these things just aren’t in the cards right now. I SHOULD do some of these things because it COULD really grow my income exponentially. (Especially emailing the mom readers.) But, I actually tried email the mom readers this month. I dragged myself out of bed at 2 am, wrote until 3 am and then sent the email off. I was sad about the extra hour of sacrificed sleep, but figured an hour per week to write an email was something I could do! The next day, when my inbox filled with emails, my heart sank as I realized that to have an engaged list I would have to … answer these emails. Because I am not insane, I deleted the emails – and then I deleted the 3600 mom reader email subscribers. It’s just not possible for me – right now – to add to my work load, and I am being realistic about that. 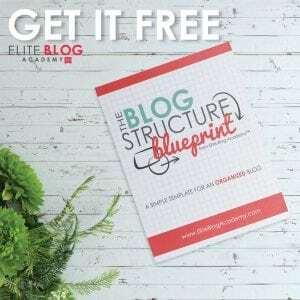 Exactly what provides high ROI will be different for every blogger, but once you see what’s working for you, do more of that thing. If your highest traffic + top amazon affiliate posts are on bullet journals, but you really just want to write about fly fishing so you choose to focus on that instead… well, it’s your blog’s funeral. If something is earning you a good income, do more of that thing. Even if you really WANT to email the fly fisherman (but you only have traffic to the bullet journal posts remember) – do you stubbornly spend your time working on opt ins for the fly fisherman and growing your list by 50 people year? What if you just decided to email the bullet journal-ers? 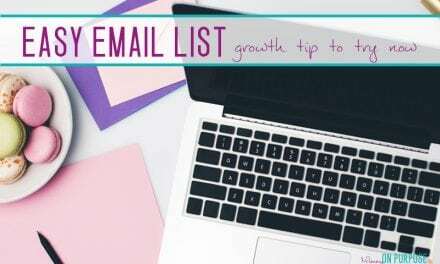 Make opt ins for whatever posts GET TRAFFIC, and email THOSE people, because that’s the list you can grow quickly. Your book sells GREAT? Yay – you need another book. Or a COURSE, based on the book perhaps? You’ve been beating yourself up trying to get your Instagram to take off… you’re not seeing results there… but Pinterest is going ok? Let Instagram go, and double down on what’s working. Figure out where the best return is for the time you’re putting in, and put in MORE time there. Getting work done as a stay at home mom is hard – but who said hard was bad? I installed my Pinterest tracking code the other day with one hand while my other hand tried to hold the squirming, crying baby on my lap. It just had to get done, and that was the only way to get it done. It took all of 10 minutes, but it truly was a miserable 10 minutes. The thing that I CAN tell you is that it’s possible and it’s worth it. I am so relieved to here someone else confirm that some things are just a waste of time. I do not spend any time on Facebook and choose to focus my promotion between Pinterest and Twitter because those platforms have higher ROI for me anyway. I get frustrated every time someone tells me I have to be in facebook groups to make it as a blogger. P.S. I really enjoyed watching your pinning tactics. Thanks for sharing! I enjoy staying home and there are lots of opportunities out there for stay at home moms! Good luck! I am also a stay at home mom and I just started blogging. I appreciated your tips and honesty. I am trying to be as honest as possible on my blog because I think other moms want the truth and not the fairytale that life can appear to be on Facebook. It was also encouraging to see that I can make money at this if I put the work in. Thanks again!